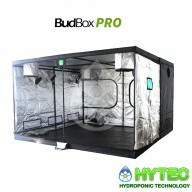 Mountain Air Carbon Filter kits. 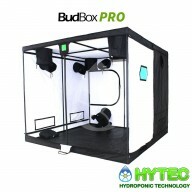 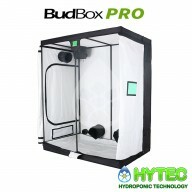 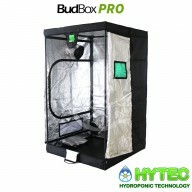 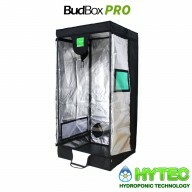 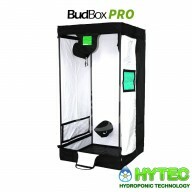 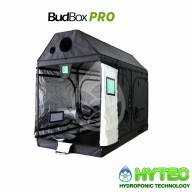 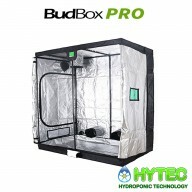 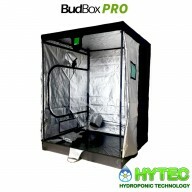 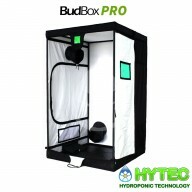 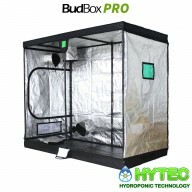 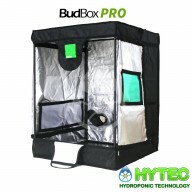 Budbox Grow Tents remain at the very forefront of the hydroponics industry, continuing to manufacture & supply high quality, tried, tested & trusted grow tents to both the professional & hobbyist grower. 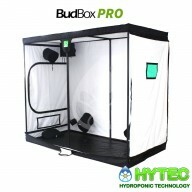 To view our range of Budbox Tents in-depth, click on the sub-categories below. 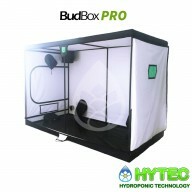 BUDBOX PRO SMALL - 0.75m x 0.75m x 1.0m - GROW TENT SILVER THE NEW BUDBOX™ PRO RANGE OF GROW TENTS The BudBox™ 75 series Pro grow tent has a strong tempered 16mm diameter pole & is the ideal tent for the vegetative stages of clones and seedlings. 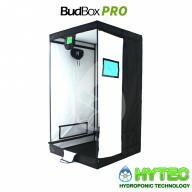 The whole BudBox™ Pro ..
BUDBOX PRO SMALL - 0.75M X 0.75M X 1.0M - GROW TENT WHITE​ THE NEW BUDBOX™ PRO RANGE OF GROW TENTS The BudBox™ 75 series Pro grow tent has a strong tempered 16mm diameter pole & is the ideal tent for the vegetative stages of clones and seedlings. 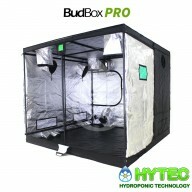 All new metal corner..
BUDBOX PRO INTERMEDIATE - 0.75m x 0.75m x 1.6m - GROW TENT SILVER THE NEW BUDBOX™ PRO RANGE OF GROW TENTS The BudBox™ Pro grow tent has a strong tempered 16mm diameter pole in our 75 and 100 range, and a 25mm diameter tempered high tensile steel pole for all units ranging from from XL (1.2) up..
BUDBOX PRO INTERMEDIATE - 0.75M X 0.75M X 1.6M - GROW TENT WHITE THE NEW BUDBOX™ PRO RANGE OF GROW TENTS Two new stronger, black powder-coated frames in 16mm & 25mm tempered rolled steel All new metal corner connectors New quick lock, push & click pole assembly New ven..
BUDBOX PRO MEDIUM - 0.75m x 0.75m x 2.0m - GROW TENT SILVER The New BudBox™ Pro Range of Grow Tents The BudBox™ Pro grow tent has a strong tempered 16mm diameter pole in our 75 and 100 range, and a 25mm diameter tempered high tensile steel pole for all units ranging from from XL (1.2) up to th..
BUDBOX PRO MEDIUM - 0.75M X 0.75M X 2.0M - GROW TENT WHITE THE NEW BUDBOX™ PRO RANGE OF GROW TENTS Two new stronger, black powder-coated frames in 16mm & 25mm tempered rolled steel All new metal corner connectors New quick lock, push & click pole assembly New ventilati..
BUDBOX PRO L180- 1.0m x 1.0m x 1.8m - GROW TENT SILVER THE NEW BUDBOX™ PRO RANGE OF GROW TENTS Two new stronger, black powder-coated frames in 16mm & 25mm tempered rolled steel All new metal corner connectors New quick lock, push & click pole assembly New ventilation..
BUDBOX PRO L200 - 1.0m x 1.0m x 2.0m - GROW TENT SILVER THE NEW BUDBOX™ PRO RANGE OF GROW TENTS Two new stronger, black powder-coated frames in 16mm & 25mm tempered rolled steel All new metal corner connectors New quick lock, push & click pole assembly New ventilation - 20% bi..
BUDBOX PRO L180 - 1.0M X 1.0M X 1.8M - GROW TENT WHITE THE NEW BUDBOX™ PRO RANGE OF GROW TENTS Two new stronger, black powder-coated frames in 16mm & 25mm tempered rolled steel All new metal corner connectors New quick lock, push & click pole assembly New ventilation - 20% bigger ..
BUDBOX PRO XL - 1.2m x 1.2m x 2.0m OR 2.2m - GROW TENT SILVER The New BudBox™ Pro Range of Grow Tents Two new stronger, black powder-coated frames in 16mm & 25mm tempered rolled steel All new metal corner connectors New quick lock, push & click pole assembly New vent..
BUDBOX PRO XL- 1.2M X 1.2M X 2.0M - GROW TENT WHITE​ THE NEW BUDBOX™ PRO RANGE OF GROW TENTS Two new stronger, black powder-coated frames in 16mm & 25mm tempered rolled steel All new metal corner connectors New quick lock, push & click pole assembly New ventilation -..
BUDBOX PRO XL PLUS- 1.5m x 1.5m x 2.0m OR 2.2m - GROW TENT SILVER THE NEW BUDBOX™ PRO RANGE OF GROW TENTS Two new stronger, black powder-coated frames in 16mm & 25mm tempered rolled steel All new metal corner connectors New quick lock, push & click pole assembly New ventilatio..
BUDBOX PRO XL - 1.5M X 1.5M X 2.0M - GROW TENT WHITE THE NEW BUDBOX™ PRO RANGE OF GROW TENTS Two new stronger, black powder-coated frames in 16mm & 25mm tempered rolled steel All new metal corner connectors New quick lock, push & click pole assembly New ventilation - 2..
XL-R BUDBOX PRO - 1.2M X 1.2M X 1.8M - GROW TENT SILVER loft/attic roof areas 25mm steel poles uplift irrigation bar double cuffed ventilation & wiring ports With a floor footprint of 120x120cm and a 45deg pitched roof height of 180cm (at the centre of the pitch) the XL-R wil..
BUDBOX PRO XXL - 1.2m x 2.4m x 2.0m OR 2.2m - GROW TENT SILVER ​THE NEW BUDBOX™ PRO RANGE OF GROW TENTS Two new stronger, black powder-coated frames in 16mm & 25mm tempered rolled steel All new metal corner connectors New quick lock, push & click pole assembly New ventilation ..
BUDBOX PRO TITAN 1 - 2.0m x 2.0m x 2.0m OR 2.2m - GROW TENT SILVER​ THE NEW BUDBOX™ PRO RANGE OF GROW TENTS Two new stronger, black powder-coated frames in 16mm & 25mm tempered rolled steel All new metal corner connectors New quick lock, push & click pole assembly New ve..
BUDBOX PRO XXL PLUS - 1.5m x 3.0m x 2.0m OR 2.2m - GROW TENT SILVER THE NEW BUDBOX™ PRO RANGE OF GROW TENTS Two new stronger, black powder-coated frames in 16mm & 25mm tempered rolled steel All new metal corner connectors New quick lock, push & click pole assembly New ventilat..
BUDBOX PRO XXL - 1.2M X 2.4M X 2.0M - GROW TENT WHITE THE NEW BUDBOX™ PRO RANGE OF GROW TENTS TWO NEW STRONGER, BLACK POWDER-COATED FRAMES IN 16MM & 25MM TEMPERED ROLLED STEEL ALL NEW METAL CORNER CONNECTORS NEW QUICK LOCK, PUSH & CLICK POLE ASSEMBLY NEW VENTILATION ..
XXLR BUDBOX PRO - 2.4M X 1.2M X 1.8M The XXL-R has a floor footprint of 120x240cm and a 45deg pitched roof height of 180cm (at the centre of the pitch) the XXL-R will maximise the space potential in those hard to access loft/attic roof areas. 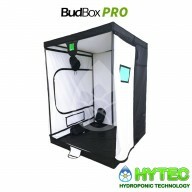 The XXL-R shares the same attention..
BUDBOX PRO GT1- 1.8M X 1.1M X 2.4 - GROW TENT SILVER The New BudBox™ Pro Range of Grow Tents Two new stronger, black powder-coated frames in 16mm & 25mm tempered rolled steel All new metal corner connectors New quick lock, push & click pole assembly New ventilation - 20..
BUDBOX PRO TITAN - 2.0M X 2.0M X 2.0M - GROW TENT WHITE THE NEW BUDBOX™ PRO RANGE OF GROW TENTS Two new stronger, black powder-coated frames in 16mm & 25mm tempered rolled steel All new metal corner connectors New quick lock, push & click pole assembly New ventilatio..
​​BUDBOX PRO TITAN PLUS - 2.4m x 2.4m x 2.0m OR 2.2m - GROW TENT SILVER THE NEW BUDBOX™ PRO RANGE OF GROW TENTS Two new stronger, black powder-coated frames in 16mm & 25mm tempered rolled steel All new metal corner connectors New quick lock, push & click pole assembl..
BUDBOX PRO XXL PLUS - 1.5M X 3.0M X 2.0M - GROW TENT WHITE​ THE NEW BUDBOX™ PRO RANGE OF GROW TENTS Two new stronger, black powder-coated frames in 16mm & 25mm tempered rolled steel All new metal corner connectors New quick lock, push & click pole assembly New ventilat..
BUDBOX PRO GT1- 1.8M X 110M X 2.4 - GROW TENT WHITE The New BudBox™ Pro Range of Grow Tents Two new stronger, black powder-coated frames in 16mm & 25mm tempered rolled steel All new metal corner connectors New quick lock, push & click pole assembly New ventilation - 20%..